Happy summer! aka, heat and humidity! What's a person to do? Well, we could all crawl into bed and put the sheets over our heads in a dim and highly air conditioning room, or we could get out and create art. There might be a few other things, like running through sprinklers or getting coupious amounts of ice cream, but the art is good too. I'm teaching several classes coming up that might seem the same, but are variations on a theme: Image Transfer for art making. I have a beginners class, an advanced class and also a methods class. Lots to learn, lots to play with! Play with different substances on which to apply the transfer. Experiment with glass, wood, fabric and plastic. Stretch and manipulate an image to create a truly one of kind look. You can attend this class if you have never done it before, I can give a crash beginner course, if you are so inclined. 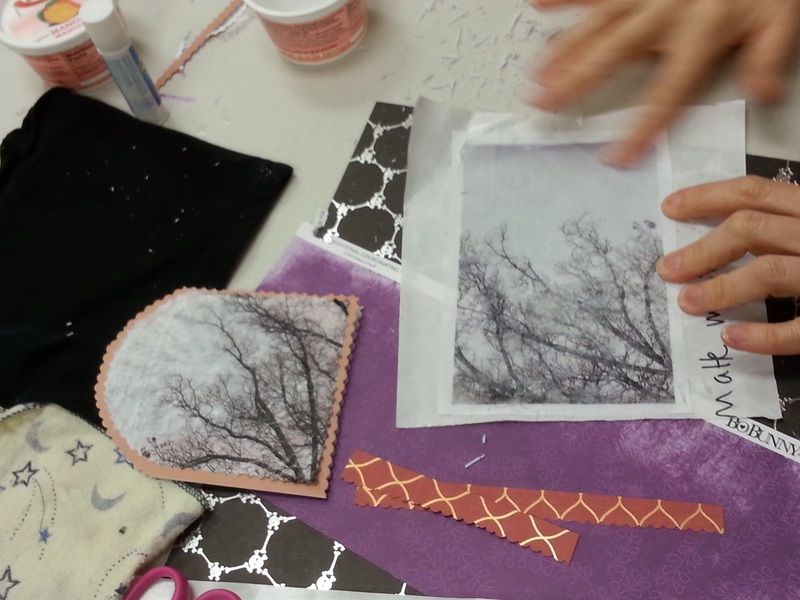 Beginner course with step by step instruction of how to do a photo transfer and create a personalized greeting card. Bring your own images and they are scanned and not harmed in creating a unique statement. Come experiment with different methods for transferring photos on to fiber, paper, plastic and even wood! Several materials to test a variety of methods will be available. There is not a final concept of what you will walk away with - this class will be more about investigating ways you might transfer images for projects you will be working on. Come open to testing and finding what products to use in the future. All basic materials will be provided but please feel free to bring something special you would like to work with. 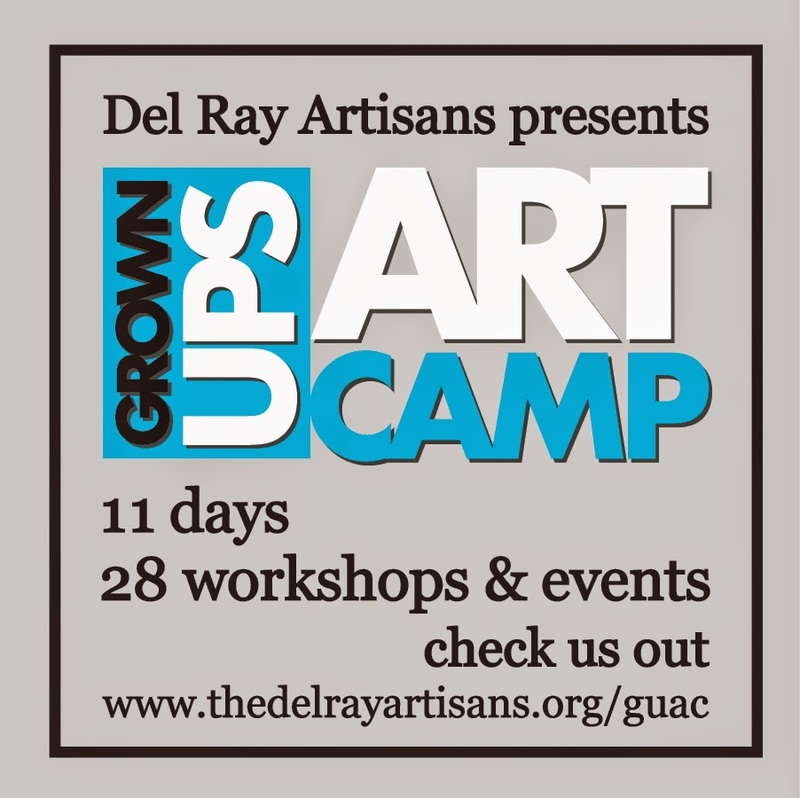 These last classes are part of the Grown Ups Art Camp!! Even as adults, we like to play and have fun, why not try a new skill? If image transfer is not your thing, maybe a dance class or drawing marathon. Sign up a group of friends as an alternative bachelorette party. Or, corporate team building. Or, mini class reunion. Or, part of a staycation. Or, getting back to your new years goals of trying something new. You don't really need a reason to get artistically messy, do you?